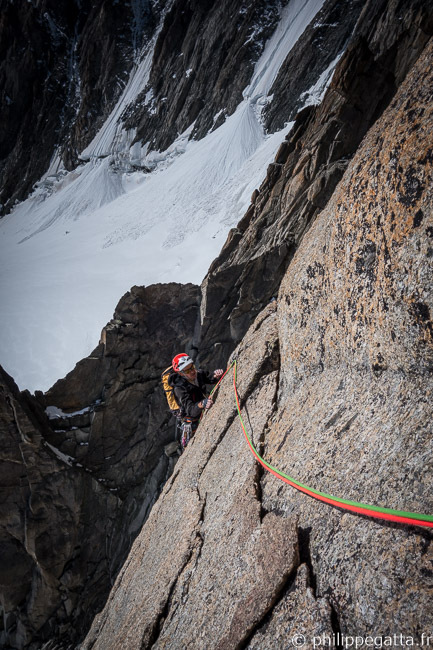 Pascal and I climbed Harold et Maud in Pointes Lachenal this morning. 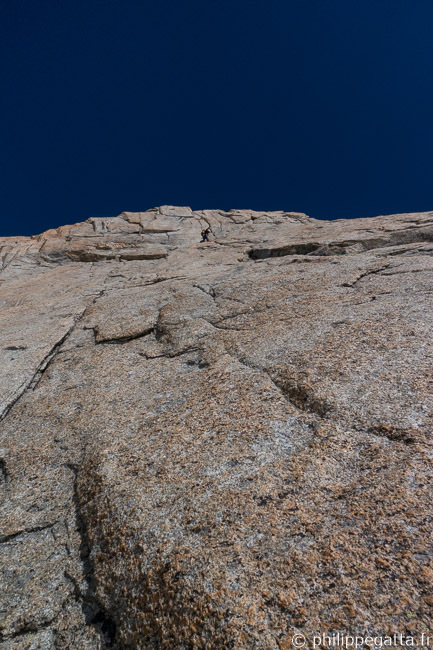 What a beautiful route on a perfect Granite!! 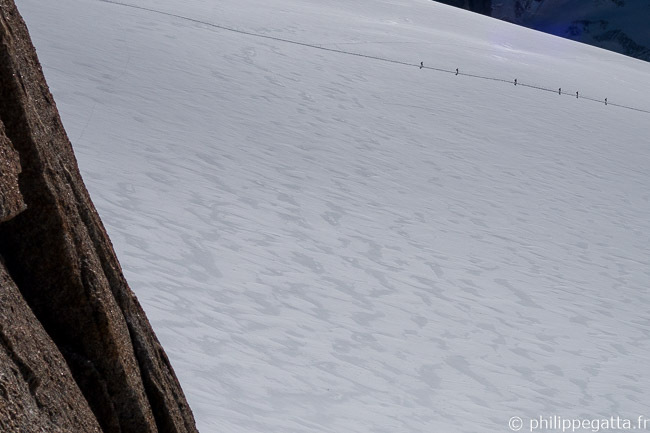 Note that the other routes on Pointes Lachenal and Aiguille du Midi were dry too. 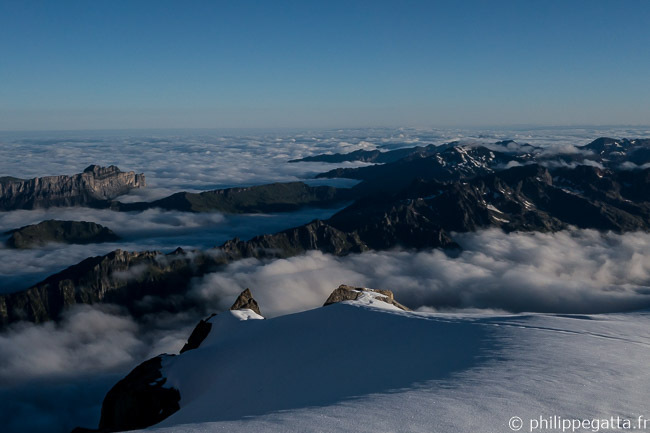 We took the first cable car from Aiguille du Midi and reached the bottom of Pointes Lachenal in 40 minutes. 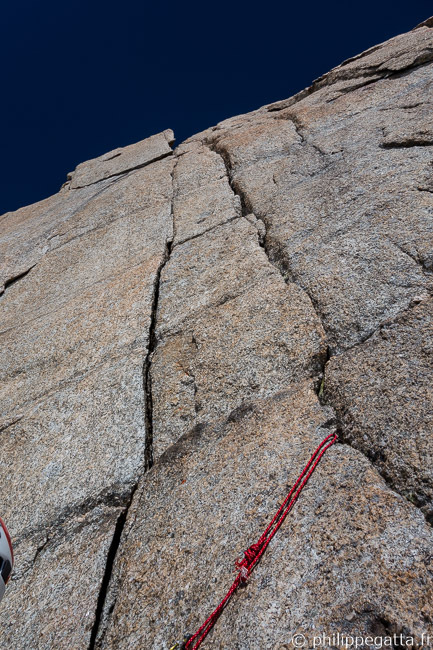 The route is 250m high and graded TD, 6a+. There are bolts on anchors (except the 2nd) but nothing on the pitches. Grades: 5c (at least), 5a, 5c, 5c, 6a+, 5b, 5a, 5b. From the 3rd anchor, traverse 2-3 meters to the rigth to reach a good crack not visible from the anchor. 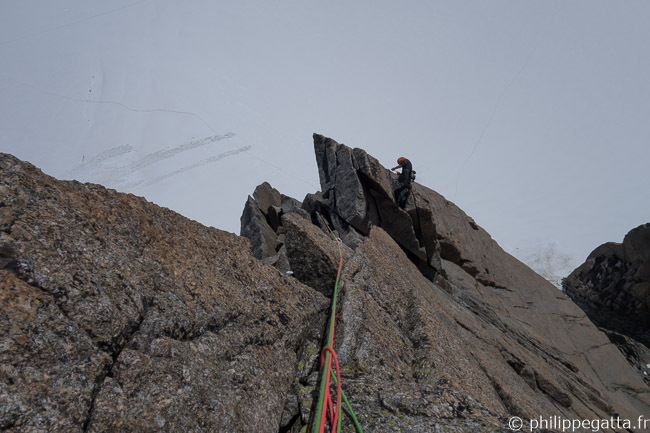 At the end of the 5th pitch, clip an old bolt and traverse 3 meters to the right to reach the real anchor. 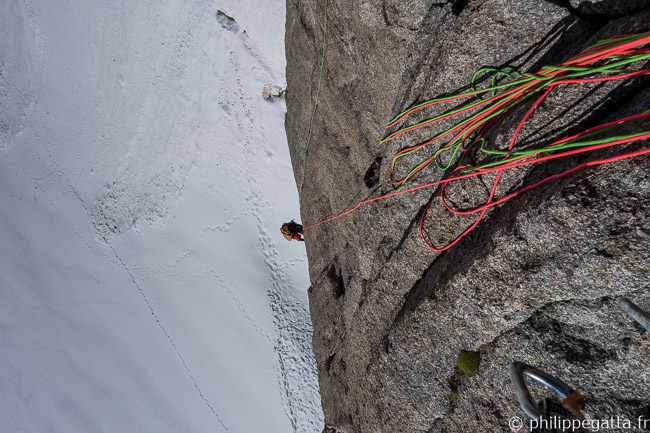 With a 60 meters rope, it is possible to link the 6th and 7th pitches. We climbed the route in 3h45. 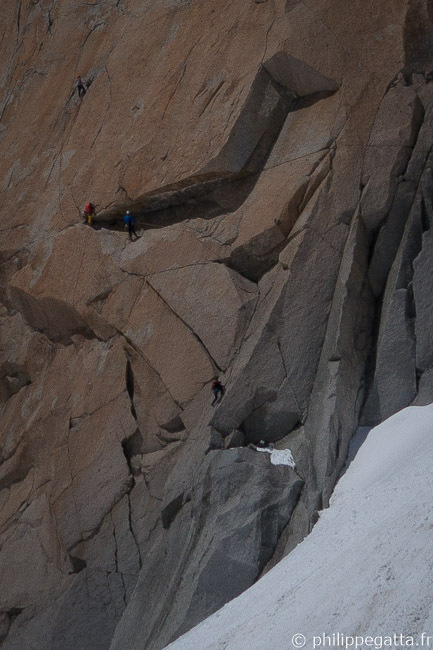 We chose to climb with the pack so we skipped the rappels and went back to Aiguille du Midi in 1h. 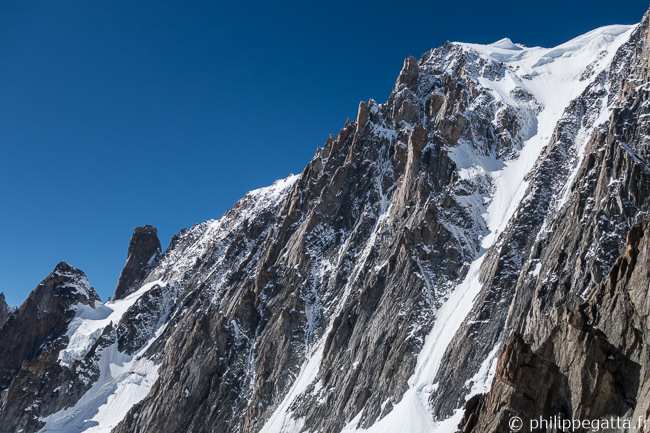 This entry was posted in Alpinism and tagged Aiguille du Midi, Harold et Maud, Pointes Lachenal. Bookmark the permalink. Both comments and trackbacks are currently closed.